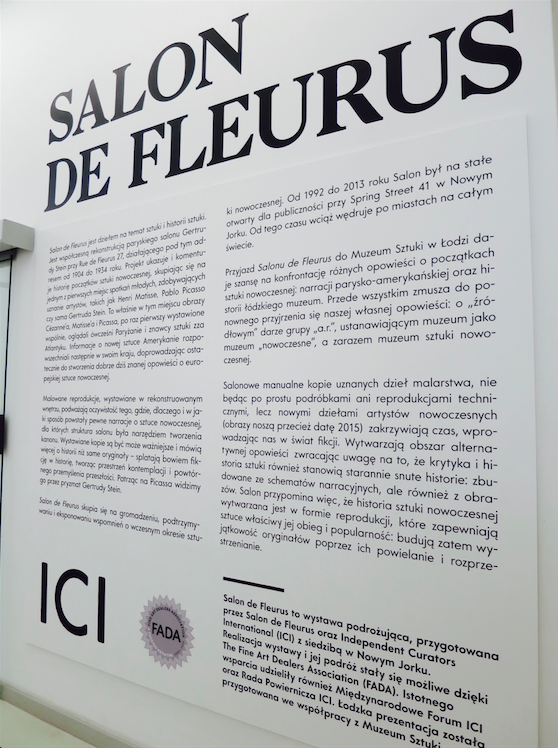 While FADA members are exhibiting an exciting array of gallery shows throughout the nation, FADA has gone international with the installment of Salon de Fleurus at the second oldest museum dedicated to Modern Art, Muzeum Sztuki, in Łódź, Poland. 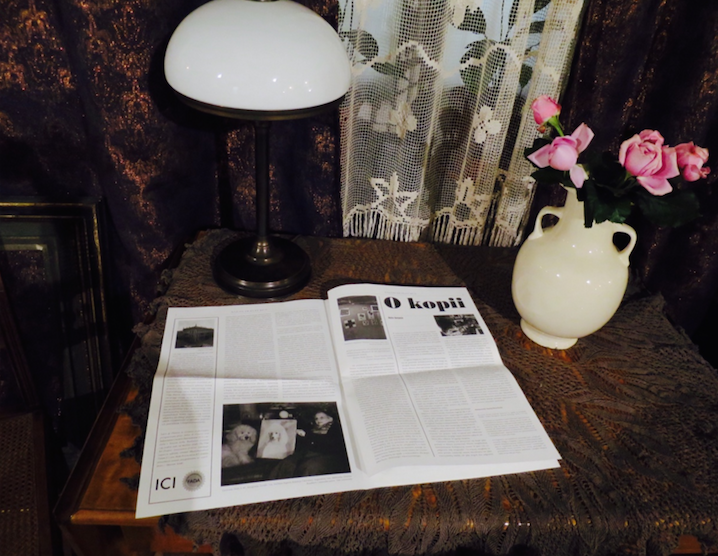 FADA, whose galleries showcase important works of art ranging from Old Masters to Contemporary Art, supports Salon de Fleurus in a collaborative promotion of art scholarship with Independent Curators International. 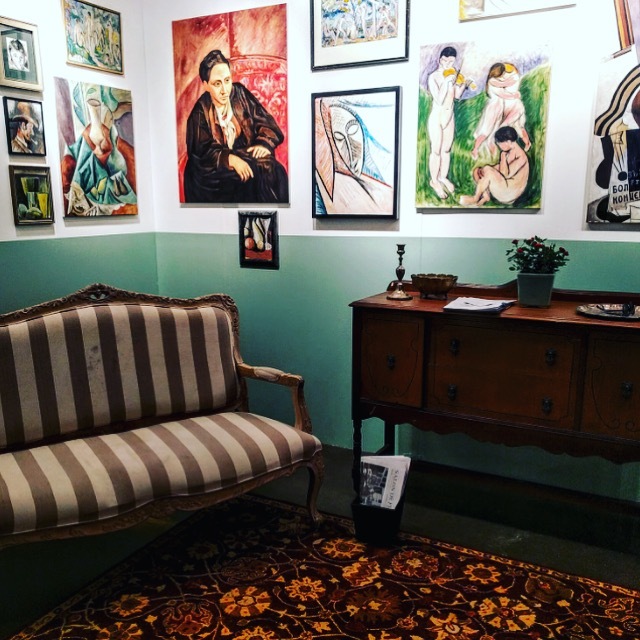 An evocation of Gertrude Stein's Parisian apartment at 27 rue de Fleurus Before jet-setting off to Poland, a petit peek of the Salon was hosted in FADA’s booth at the LA Art Show in February. 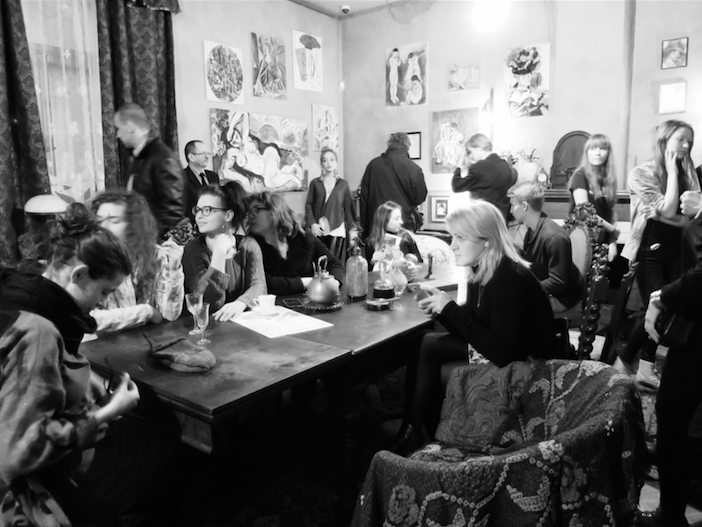 While taking selfies with Gertrude, patrons enjoyed a Salon setting complete with ottomans and divans evocative of Gertrude Stein’s seminal twentieth-century Parisian apartment where she first assembled artworks from the provocative, Avant-garde artists who make up the foundations of any great Modern Art collection today. 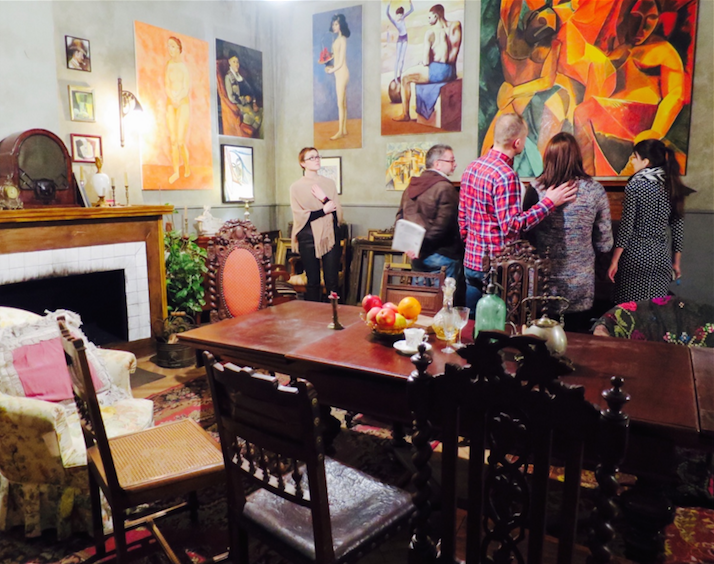 Salon de Fleurus's installation at the LA Art Show spurred wonderful dialogs about the past, present and future of art, especially when situated amongst one of the West Coast’s most popular art fairs. In its voyage to Europe, especially to one of world’s oldest museums of Modern Art, Salon de Fleurus reveals that new questions can be posed and pondered as it travels to different contexts and places within the art world. FADA is thrilled to be apart of this conversation. 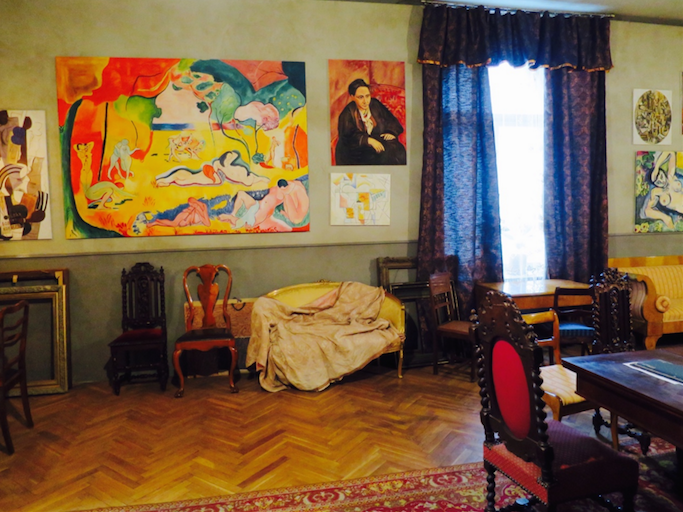 "Salon de Fleurus" is a work about art and art history, a contemporary reconstruction of Gertrude Stein’s Parisian salon that existed at 27 rue de Fleurus from 1904-34. It is a project that displays and references a story of modern art’s beginnings through one of the first gathering places for burgeoning young artists such as Henri Matisse, Pablo Picasso, and Stein herself. It was in Stein's salon that paintings by Cézanne, Matisse and Picasso were seen exhibited together for the first time both by her peers and transatlantic art experts who spread the word back home, eventually creating the American narrative of European modern art familiar today. Through painted reproductions exhibited within this constructed interior, the "Salon de Fleurus" questions where, why and how certain narratives of modern art originated through the salon structure that first canonized them. These copies are perhaps more significant and tell us more about history than the original artworks themselves by weaving fiction into history and leaving space to contemplate and reconsider the past. When one looks at Picasso here, they are viewing Picasso through the lens of Stein. "Salon de Fleurus" is dedicated to assembling, preserving, and exhibiting memories on early modern art. Its permanent exhibit was located at 41 Spring Street, New York, and was open to the public from 1992–2013. Since then, it continues to appear in cities across the world. The arrival of the "Salon de Fleurus" at the Muzeum Sztuki in Łódź is an opportunity to confront various narratives about the beginnings of modern art: Parisian and American accounts and the local history of the museum in Łódź. 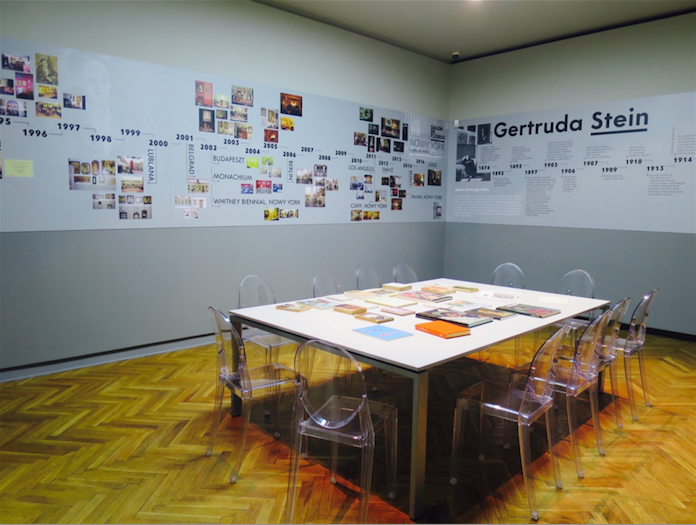 First and foremost, it encourages us to revisit – through looking at a reconstructed copy of Gertrude Stein’s salon – our own historical account: the story of the “source” contribution of the a.r. group, which established the Muzeum Sztuki in Łódź as both a modern museum and a museum of modern art. The presented versions of acclaimed artworks from Stein’s salon are not simply counterfeits or technical reproductions, but new handmade copies of modern masterpieces (dated 2015). They are thus repetitions, which bend time and introduce us into the world of fiction, which cannot be simply disregarded as not genuine. Copies of paintings and this Salon reconstruction offer an alternative story about modern art, drawing attention to the fact that art criticism and art history are also stories – meticulously spun, woven on the basis of narrative patterns and images. The Salon reminds us that the history of modern art is produced through the use of reproduced images, which enable adequate circulation strategies and contribute to the popularity of modern art. They enhance the uniqueness of the originals through their duplication and dissemination.